It is inevitable in esports, as in traditional sports, that those responsible for nurturing talent or finding up and coming players will be sought out. A very popular way of discovering new talent is through grassroots development. In traditional sports this generally means enabling school children and community clubs, in order to be able to spot and develop the skills of students or members to a point of proficiency where they can be picked up by professional teams or organisations. There are, of course, many ways to go about doing this. Whether it means supplying equipment or facilities to areas or schools that may be less fortunate and would otherwise not get access to it, or by enabling a competitive environment at a school-going age. Grassroots development like this generally aim for inclusion within communities. In South African esports, however, the industry players have decided to draw a few lines in the sand when it comes to grassroots development. It is my opinion that these lines, perhaps caused by polarising views or profit driven companies, are doing more harm than good right now in the esports space. I want to take a moment to explore my reasons for this opinion. The first line that the industry has drawn in the sand appears to separate out the grassroots methodology, and perhaps to a lesser scale the game titles that are most commonly used in their initiatives. Organizations that are spearheading grassroots development are taking a linear approach into which titles are being used to develop the idea of competitive gaming to a broad audience. For instance, FIFA 18 is an obvious title to talk about at this point. The organization at the forefront of FIFA 18 as an esport in South Africa is probably VS Gaming, who recently put on an event that I’d hasten to describe as a massive gluing together of gaming, music, and an almost carnival-like environment. This was probably done, I can only imagine, to draw in crowds and people that would find the event entertaining for more than just the gaming, while still being exposed to the idea of competitive gaming. Resident zombie teaching the young and old how to esports with the best of us. Image courtesy of Zombiegamer. Other tournament organisers, like ACGL, tend to not rely so much on focusing on a specific title as a gateway into competitive gaming. They instead focus on being as accessible as possible and employing the shotgun approach to cover as many games as possible. By shotgun approach I mean they frequently host a huge range of titles in online competitions and offline minor LAN events, to give as many people the chance to play their game of choice in a competitive environment. They also have had a presence in schools, particularly in the Western Cape, and generally promote esports from a multi-directional approach. Initiatives like the EGE Schools Day on the Friday of the event serves an important role in such a development strategy – taking schools events and feeding the most skilled players into an actual esports event – and it does well to serve the purpose of exposing players to competitive gaming, albeit on a smaller (more regular) scale. Then we have the Mind Sports Association of South Africa (MSSA) which positions itself as a official organisation (SASCOC aligned, although currently suspended) that offers those willing to play by its rules the chance of national colours and a spot in the South African team, both at a school (juniors level) and club (seniors) level. The competitive gaming community however have a very polarising view of the MSSA – many being very critical of the way they do things and their archaic rulesets and almost propaganda-like PR rhetoric they put forth. As such most of the competitive community politely ignores the MSSA. eFootball. Let’s have that talk. At its base, the idea of eFootball is a solid one. It’s a game, both as a traditional sport and a competitive video game. Millions of people enjoy both and as such it enjoys a low barrier to entry – just a console and a TV is needed. In South Africa, this is especially important. Even the game itself doesn’t require much knowledge to pick up and play. All of this lends itself to be an excellent first outing for most youngsters as a competitive gaming experience. With this in mind, let’s explore the VS Gaming Festival and eFootball Qualifier event that took place over the last weekend. We covered the results briefly in case you missed it elsewhere on Esports Central, so go read that if you haven’t and want to know more. My subjective view of the event is that much of its goal was to promote inclusivity – you didn’t need a computer, subscription to a PS Plus or Xbox Gold service or even an internet to be able to have a chance at the prize money on offer. Anyone could book a spot and compete. That’s the low barrier to entry we need. In the downtime between games, or for spectators, there was a host of activities to entertain too – from big music acts to all sorts of football related pursuits around the impressive event venue. The layout and format of the event was great too. A circular layout that shrunk towards the middle head-to-head stage as more people were eliminated. It felt like a FIFA battle royale and coupled with the event space made for a really good event for the players. But for spectators? Not so much. As someone interested only in the esports, the experience was diluted pretty thin. The viewing experience, particularly on the stream and certainly exacerbated by the seemingly inexperienced broadcast talent, lacked focus on the humans playing the game and instead focused on the game itself. The casters spent much of the 10 or so minutes each game talking about the in-game depictions of the professional football players rather than those actually playing the games – the stars we were actually there to see. While this is understandable early on in each day when the players were unknown and had not established themselves, as the day went on the focus didn’t shift. Only in the grand finals on Sunday night did the panel and casters switch focus to the human players. This sort of event has huge potential, and I can’t help but believe VS Gaming are the people to pull it off. The execution for players was an amazing one and I’m sure every person that took part had an amazing time. Aside from the cost of entry (R150 for a weekend pass) and the expensive food pricing in the venue itself (like R80 for a few chicken strips and a slice of watermelon), it was a very accessible event with a lot to see and do. The broadcast, however, needs attention. Next on the oft-debated list of grassroots opportunities are the schools. This is where the MSSA holds the biggest slice of pie, though we’re seeing a good showing here from ACGL too. I want to spend some time talking about the MSSA for now though, as they have many school-based esports clubs and teams as members of their organization and as such they’re positioned to play a huge role in the development of these communities. 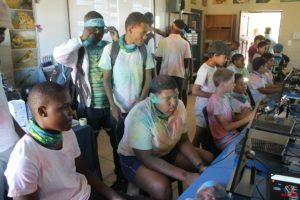 The MSSA do an admirable job at it and have good penetration into the school gaming scene, while also managing to ostracize a large portion of gamers who choose not to join the MSSA. Many organizations in the local competitive esports scene are not MSSA affiliated, and make up teams that are objectively better than the national teams the MSSA put forward to international LAN events (like IeSF and similar). The MSSA hold onto the South African branding and use of the South African flag at these events and other competitive teams (non-MSSA affiliated) that legitimately qualify for international events are not able to officially represent their country. Taking esports to schools. 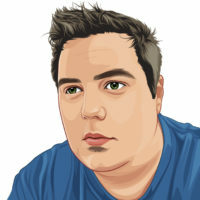 Image courtesy of Zombiegamer. At the surface it sounds fine – pay a couple of hundred Rand a year and get affiliated to the MSSA and you’re set to go out and play for South Africa. Except it’s not that easy. It would mean that the team, even after qualifying for an international event, would have to compete in the MSSA leagues and win it. This is a seemingly unnecessary hurdle to just being able to represent your country. The famous story of the Southern Barbarians comes to mind who, in 2014 won the ESL Nations Cup, had to change their name from South Africa to Southern Barbarians because of legal threats from the MSSA because they were not affiliated to the organisation. The MSSA also fields some rules which would break most competitive teams. For instance, one rule is a geographic restriction where team members have to live within 50km of each other to form a team. Then there is the general disregard for country borders in the competitive scene, with few competitions requiring all players be from the same country. Yet in general this isn’t the track the MSSA follows. The MSSA are important in the development of esports at schools, but are quickly becoming irrelevant after that development. In my mind they’re an organization with unreasonable expectations from its players, they’re willing to put forth weaker teams under the South African banner to cling to its rules, they’re specifically designed for regional clubs and school teams rather than geographically scattered nature of the modern esports team. These are just a few reasons the organization struggles. This all brings us back to those lines in the sand. 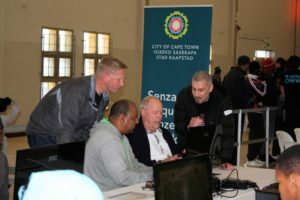 You’re either an advocate of the big tournament organisers running events that overlook traditional esports development models in favour of attempts at inclusivity, or you get behind the likes of the MSSA who tackle development at a schools and club level. Seems strange to have to make that choice right? Well, it is strange. Instead of marrying the idea of an MSSA-style schools development feeding players into an event like the VS Gaming Festival, or international qualifier style events like ESEA, as a player you instead have to make a choice. Affiliating with the MSSA will likely get you shunned by the rest of the local competitive scene and might make forming a competitive team difficult with the limitations placed upon you. If you stick with the non-MSSA competitive community then while playing and winning in tournament organised international qualifiers you’ll be unable to use your country’s name and flag. I personally have the most faith in the multi-title feeder event approach of ACGL. Mind you, I’m keeping a toe over the VS Gaming Festival line just in case their broadcasts improve. Header image courtesy of Zombiegamer. Rick Mortyson is a middle management drone by day and a gamer by night. He's a true gaming geek and historian, having played games since the late 80s.